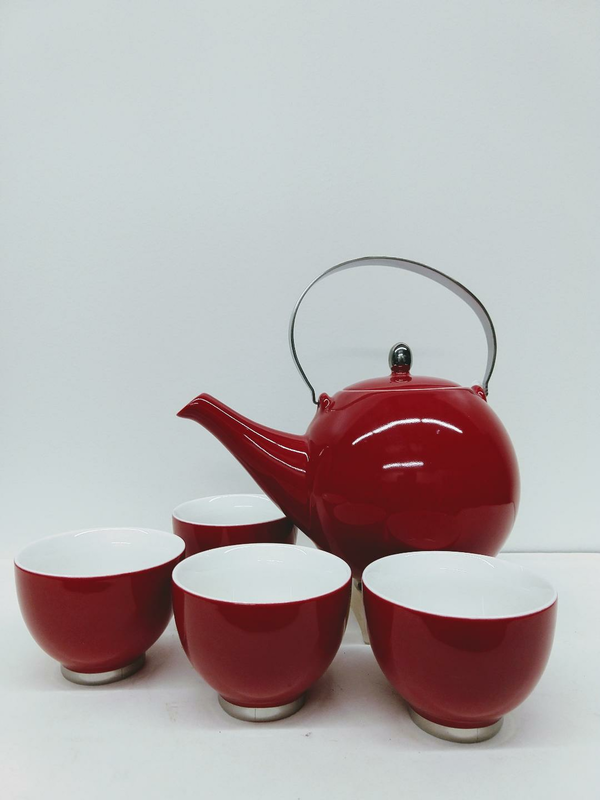 5 piece tea set with brilliant red glaze on the outside and white interior glaze. Silvery handle and silver glaze for the teapot base and cup bases. Built-in spout strainer. Simple and classic teapot shape. A timeless design.